Ensure to read this post to the end, I’ve got an awesome surprise and gift for you if you do. As the title of this post suggests, I’m going to show you how you can get professional Infographics uniquely designed for your Blog for free. But before I talk about the how, I believe I should talk about the why. After all, it’s often said that if the purpose of a thing is not known, abuse is inevitable. So why Should I use Infographics? You know that Guest posting is one very effective way of building backlinks, traffic and brand exposure. But today, you will learn a strategy way more powerful than Guest posting. Brian Dean of Backlinko called it Guestographic. People love to share Infographics because most of us are visually inclined. Guestographic is simply Guest Posting with an Infographic. Instead of pitching bloggers for Guest Posting opportunities with your usual text post; you rather pitch them with an Infographic. As you can already imagine, this will greatly increase your chances of being accepted for a guest posting gig. But do you know what is more powerful? You don’t have to keep creating different Infographics for different blogs. You can use one Infographic to Guest Post on several blogs, all you need to do is write a unique text content each time you Guest Post with the Infographic and you are fine. Brian Dean shared a case study of how 2 bloggers (Perrin and David) had amazing results by using the Guestographic method. With Infographics, you are bound to increase your traffic, reduce your bounce rate and increase the average time-spent on your site as seen in the image below. I’m yet to know any one strategy that will make high domain authority sites not mind linking to a newbie site like Infographic Guest Posting (Guestographic). The beauty of it is that as these Infographic posts go viral, you’ll enjoy the traffic; also as more bloggers embed the Infographic, you’ll get more backlinks. The truth is that good Infographic designers are in short supply and according to the law of demand and supply, they become expensive. We want to work with select bloggers to power their Content Marketing with Infographics. We would create Infographics for you for free. We would give you the right to use the Infographics as your own any way you deem fit. You would give us a minimum of 2 do-follow backlinks from the post. For now, we can only deal with bloggers with a minimum monthly visit of 10000 and 100+ daily visits from the Search Engine. Go to BlogExpose and create a free account. Then click the button below to apply. Yes, Infographic is here to stay! As people and bloggers are very very/super busy in these days where is the time to read a 1500 to 2000 or 3000 words text post? Literally difficult to look into or for that matter some may refer it if it’s come under their liked category or niche. Otherwise in many cases it may not get the attention we desired for. That is where the great need or usability of infographic comes in!! Yes, as the age old saying goes: “A picture speaks a thousand words” a post an illustration filled with graphics and pics will easily get the attention of the readers. Yes, Enstine, I got it, its in PDF format and I converted it into Jpg format and its ready to post. In fact that is a bit long process, instead if the link they send it in html format it will be easy to publish. A very BIG HELLO to this wonderful community; I’m so excited to be here and to be part of what’s happening here. I can’t wait to start engaging and connecting with fellow bloggers. Let’s get this Guestographic strategy moving; it’s the fastest and easiest way I know to earn backlinks from Authority Sites. Thanks for engineering this exceptional project. I call it project because I see it going beyond imagination. Guest posting and Infographics, both are one of the best tactics to increase the backlinks and traffic. But doing these two things in a single post will definitely gives massive traffic to our blog. Thanks for sharing the details of Blog Expose and this informative post with us. You are right; Infographic + Guest Posting is very powerful. It has the capacity to drive some serious traffic. Did you apply for the offer yet? That’s a fantastic offer – I’d LOVE an infographic. I had one in another niche and it was my most pinned and shared content, but it was someone else’s – reproduced with permission – and way out of my budget to produce! Thanks for coming over to leave a feedback. I think what Dan is offering here is a huge value. I’m sure you’ll be part of this. It’s so good to have you here. I think I saw your application on Blog Expose; I’ll get to it. Infographic is very good Method to get back link to other site and now days many people make infographic and share and other people use them and infographic get free high quality backlink.you guide very well how to create infographic. Thanks for guide.keep up it. Great share, well I’m a great fan of infographics but unaware of free infographics platform. Will surely check it out. It’s not a free Infographic platform; I’m offering to design an Infographic for you in exchange for a backlink if you meet the conditions set in the post above. Great Explanation and well written content. I am agree with you that if you have awesome infographic with quality content then you might be get good back links naturally. I have experienced it and it will be work perfectly. 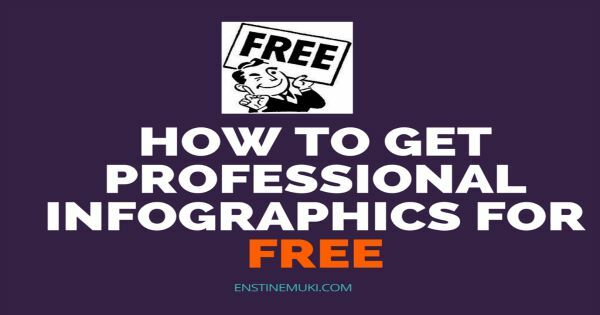 Well I never heard or tried any free infographics service and I’m really excited to try one for sure. Did you apply for this offer yet? I have gone the points your pointed out and also that of backlinko, infact am satisfied with what I read which means that this tips will work more on my scholarship website. Nice to meet you on Enstine blog, welcome. your infographic are on top, I can attest to that….having had the opportunity to work with you and having a share of your generousity. Thanks for sharing your knowledge with the community. Good to see you hear bro and a very big thanks for the kind words. I first heard about the idea of Guestographic from Brian Dean and its really a very wonderful idea and like you said, getting a good one is usually very expensive and that’s why most people are not making use of it. Its very amazing to hear that you guys at BlogExpose offers this service for free and I’m sure lots of people will need it. As I mentioned in my reply to your feedback to my comment here,I just got the PDF infographic and posted it on my page, With due credits. Hello Enstine, What an Amazing offer, I have never heard the word Guestographic before and love what you and Dan got going here. Good to see you here and I’m happy you learnt something new from the post. I spend my 1 hour to find the infographics creating Technics now your site is end of my search. Good to see that you found the post valuable. Thanks for the kind words; Have you applied for Infographics yet? This is a good deal and I wish that I can also be part of this deal. But unfortunately, I am not getting 10k monthly visits that’s why I have to wait till I get. Infographics are one way people notice your content and love sharing it. I tried to make my own once, but couldn’t get my mind wrapped around what I wanted to say. What a deal! I never heard of guestographics and it sure sounds great! Leave it to you my friend to dig up this one! Thanks so much for the information and I sure will share. And yes, you are right, Infographic is very powerful, it makes your content stand out from the noise. Did you apply yet for the Infographic offer? Love the guestographics plan! I’ve been dabbling in infographics a bit using Canva and Easel.ly regarding visual content marketing. You have some really great tips in sharing them with other bloggers. It’s a win-win situation. Good to see that you have tried your hands on Infographics. You can go to my article attached to this response and scroll down to the Number 8 point of that article; I covered how to get Influencers to share your Infographics, Infographic Directories that give you dofollow link and how to get an embed code for you Infographic. Or better still, apply for the offer and we can work together. Guestographics is another great method for building backlinks. Yes it will if you do it right. I was unaware of how infographics really are. I have seen a few around and heard a little of the buzz about them. But because I am new I thought yeah, yeah I will learn about them some time down the track. Maybe that is not a wise idea. The leap in traffic and bounce rate are impressive. Thanks for the info. It’s worth your dime to have them created for you; it will help decrease the bounce rate on your site, increase the time spent on your site which will make the Search Engines to increase your positions. Also don’t forget the traffic as a result of the shares. I normally charge $200 – $250 to create them for my clients and I’ve seen that it’s worth it as they are able to use just one Infographic to guest post on multiple sites thereby driving them massive exposure. Hi Enstine, love your posts, which are published on your website. I was not so much aware about the deep benefits of using infographics but now I think I must have to use infographics at least 2-3 times in a week. Hi Enstine, It is such a great deal for the blogger who have enough traffic. My blog is new and I am not getting the required traffic. Thanks for sharing this unique deal…. I’ll try to package something for the guys with smaller traffic; maybe I’ll give a huge discount for Infographic design so everybody can benefit from this. Thanks a lot. I will wait for it. Till then could you suggest me any guide to learn infographic creatiion. You can approach a design in your locality to teach you and you should be fine. I am ready to use your info-graphic in my website. My website in getting about daily 2000 visitor/ day. I will give you 2 backlinks but what is benefit to me. thanks for sharing such great information about infographics. Thanks for the infomation about Guestographics. I know about Brian Dean but I didn’t know he pegged a name to infographics for guest posts. I recently started a new infographic submission site myself. I look forwarding to taking advantage of your infographic offer too. Thanks for that. Hope to hear from you soon. Thanks for sharing this unique deal. It’s helpful for me.